Why Is That Trap In My Trees? Do you have fruit trees on your property? How about roses? Do you want to protect your homegrown fruits, vegetables, trees, and other plants from exotic insect pests? With a warm climate, the busiest port complex in the USA, a major international airport, ten million residents, workers commuting daily from neighboring counties, and thriving tourism, the County of Los Angeles has conditions ripe for making it a superhighway for invasive species destructive to home gardens as well as commercial agriculture. Cooperative efforts among residents like you and dedicated local, state, and federal authorities protect home gardens, landscaping, commercial agriculture, and our environment. Part of this comprehensive effort is the responsibility of our Environmental Protection Bureau, which places and services tens of thousands of detection traps throughout the County of Los Angeles. 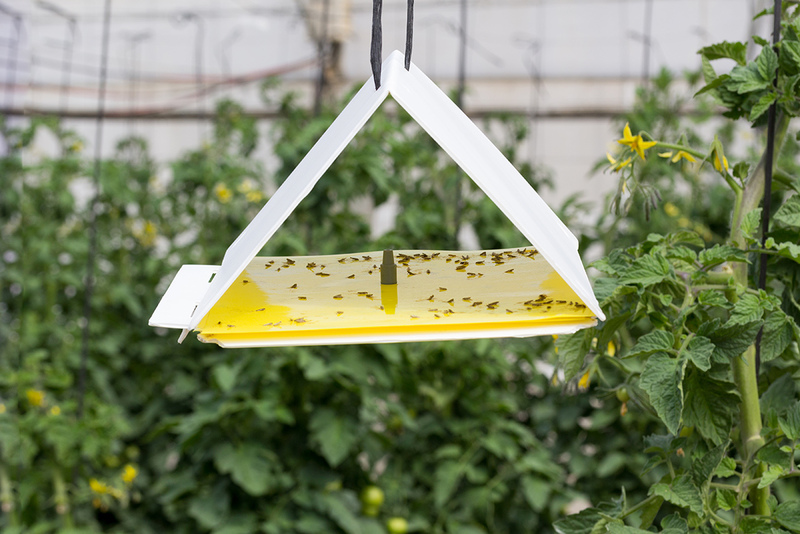 The earlier we discover emerging infestations using these traps, the less money and pesticide will be used to protect fruits, vegetables, and other plants from pests. Detection trapping is an effective and essential part of our efforts, as these traps alert us when a breeding population of a major pest may be present. Our program is the largest Pest Detection program in the nation and, as far as we know, the world! We currently employ 60 Inspector Aids and 6 ACWM Inspectors to carry out these critical pest detection activities. We’re on the lookout for repeat offenders such as these exotic insect pests list below. How was my house selected and how long will the trap be here? If you have a Jackson or McPhail trap, we admired your fruit tree(s), well cared for and currently fruiting. We typically leave these traps on the property for six weeks or until the fruit is gone. If you have a Japanese Beetle or Gypsy Moth trap, it was placed because your beautiful ornamental trees, turf, or roses caught our eye. Japanese Beetle and Gypsy Moth traps are deployed in June and are removed by September. How did the person who placed the trap go into my yard? We do not go into backyards without talking to a homeowner or resident in person. The majority of the traps are placed by an Inspector Aid in front yard fruit trees or on trees which overhang a public walkway. Do Inspector Aids wear uniforms while placing and serving traps? Yes. 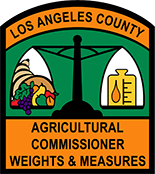 They consist of a tan shirt bearing patches including our Department of Agricultural Commissioner/Weights and Measures logo on the shoulders, olive green pants, a green jacket, and a trapping pole. Each staff member will be carrying official identification. Where can I get one of those neat uniforms? Come join our team and find out! Will I be charged for the trapping? Good news! We do not charge for this service. Do I have to do anything with the trap? No, the trap will function fine as long as you leave it alone. We will service the trap. When will the traps be checked? Jackson traps are checked every other week and not always on the same weekday or time. McPhail traps are checked once a week and not always on the same weekday or time. Japanese Beetle and Gypsy Moth traps may be checked one or more times during their deployment. If you missed us and want to talk, feel free to call (see contact information below). We can answer any questions you may have about trapping. What happens if you find a target insect? It depends on how many we find and their gender. Often, a detection will prompt the California Department of Food and Agriculture to add delimitation traps in the area to determine the extent of the infestation and to catch other specimens. In some rare cases, State or County staff might need to take all the fruit off the tree and do some localized pesticide treatments. Residents will be informed before their property is treated. If conditions warrant, a quarantine might be placed into effect, which would restrict the movement of the host fruits, vegetables, or plants. Will the traps attract other insects? The Jackson trap is very specific and only attracts the male of the target species. From time to time, other insects will wander into the trap and get caught. This trap does not attract house flies. McPhail traps attract any kind of fly that is in the area, including house flies. Japanese Beetle and Gypsy Moth traps do not attract other insects, but some do find their way inside, as they would any other structure. Does the trap affect the fruit? The traps do not affect the fruit, other than potentially protecting the fruit from being destroyed by an insect pest. Pick, wash and enjoy your fruit as you normally do. When will you trap on my property again? We rotate our Jackson and McPhail traps every six weeks and do not visit the same property until a full year has elapsed from the last placement. Japanese Beetle and Gypsy Moth traps are deployed in June and are removed by September. What should I do if I find your trap on the ground? Since McPhail traps are made of glass, they can break. If the trap is broken, carefully pick up and dispose of the glass with the regular trash as you would other broken glass. The fluid inside might have a strong odor from the yeast and it can be hosed down with plain water. A Jackson trap can be picked up and placed back into the tree by the homeowner or resident, although, if you do so, please be sure to take all reasonable safety precautions. You may also contact your local field station supervisor (see contact information below) and we will immediately make arrangements to re-hang the trap. Aren’t insects an important part of nature? Yes, they are! However, not all species of insect naturally exist everywhere in the world. What we’re doing is preventing infestations of exotic insects which aren’t from our area and are serious pests of agriculture and horticulture. Welcoming the detection traps featured on this page. Report any unusual or targeted insects or plant conditions. The California Department of Food and Agriculture Pest Hotline is 1-800-491-1899. Follow any quarantines that cover your property. Discourage your family and friends outside of California from sending such things in the mail. Call (562) 622-0426 to find out what is prohibited. What if I don’t want a trap placed in my yard? Please contact us. See below for our information. We work Monday through Thursday, 6:30AM to 5:00PM. At times, we work Fridays. We are closed during all major holidays. Our General Detection Line is 626-575-5472. We cover San Fernando Valley, Santa Clarita, and Western parts of Glendale. We cover West Los Angeles, Malibu, Agoura Hills, and LAX. We cover San Gabriel Valley, La Canada/Flintridge, and Eastern parts of Glendale. 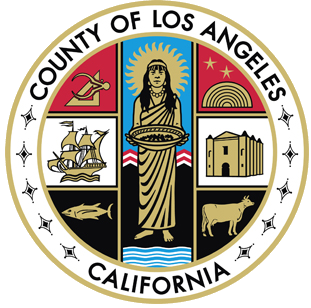 We cover Downtown Los Angeles, East Los Angeles, and Whittier. We cover Long Beach, Downey, and Rancho Palos Verdes.